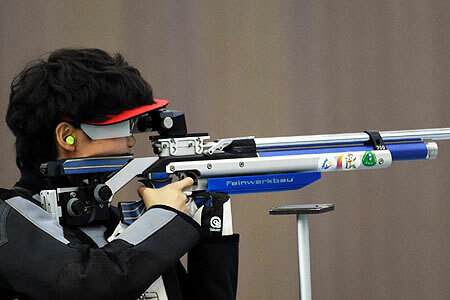 India closed their campaign on the fourth day of the International Shooting Sport Federation (ISSF) Junior World Cup winning a team bronze medal in the 25m pistol women's event in Suhl, Germany, on Wednesday. India fourth in the medals tally with three gold, four silver and three bronze, and a total of 10 medals. The Indian women's team of Sanjana Sehrawat, Chinki Yadav and Gauri Sheoran shot a total of 1695 to walk away with the bronze medal. Russian Federation with a total of 1708 walked away with the gold medal while the Germany had to settle for the bronze medal shooting a total of 1698. Italy tops the medal tally with six gold medals, two silver and one bronze medal whereas Russian Federation is at number two with four gold, six silver and seven bronze medals. Have Manchester City been unlucky in Champions League exit? John Kasich to be Trump's running mate?